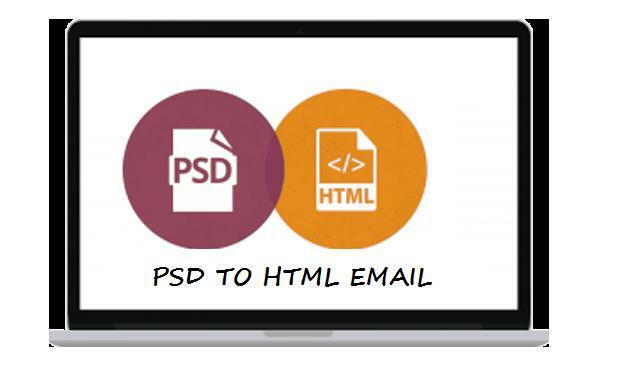 PSD to HTML Email Conversion takes communication to an advanced level by facilitating easy conversion designing emails like image in Photoshop and coding it with HTML markup language. The importance of PSD to HTML has been adopted by professionals to work with a template design that works well with almost any kind of device. 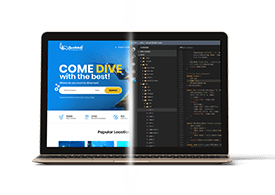 Featuring clean hand codes, customized features, cross-browser compatibility, the conversion intends to accommodate high-powered enterprising features to drive traffic to the website. Promotes Direct Interaction- The process of conversion from PSD to HTML allows the inclusion of dynamic components as survey forms, CTA buttons, payment links, subscription requests, sponsorship and sharing requests among others for an increased brand exposure and consumer base. Allows Targeting a Group of People- Deliberately designed for standing uniquely amongst the clients, Emails are accorded and rewarded for standing the test of times. Emails that appear specifically tailored for a specific group of people aren’t easy to get ignored. PSD to Email Conversion does absolutely the same by customizing mails and targeting them in a way so as to make users feel really important to work with you. Quick Feedback- Getting your emails designed in Photoshop and converted back to email will let the users understand the way it is done to ensure you get the kind of feedback you are willing to. After receiving emails that look authentic, professional, targeted to the readers, and built-in with easy to use mobile-friendly features, users will love to open, read and reply to the same. Integrates Easily With Different Web Browsers- HTML Mails obtained after conversion from PSD easily integrate with multiple popular browsers. This feature makes it possible for the emails to be received and viewed the way users intend to. Understanding the importance of good emails is crucial for businesses to remain sustainable and expand within a limited time period. If you really look forward to promoting your business effectively, converting PSD to email should be your first point of consideration. By creating stunning email templates, you will be able to accomplish the desired outcome with greater accuracy by improving quality and productivity of your business. So, is there anything you have planned in your mind? Contact Us for the same.